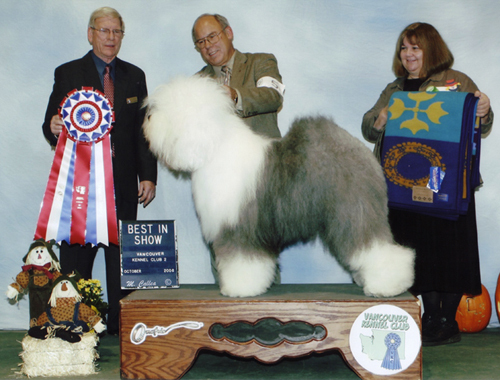 We had an early Christmas present in 2006 - George won his 4th Best In Show !! 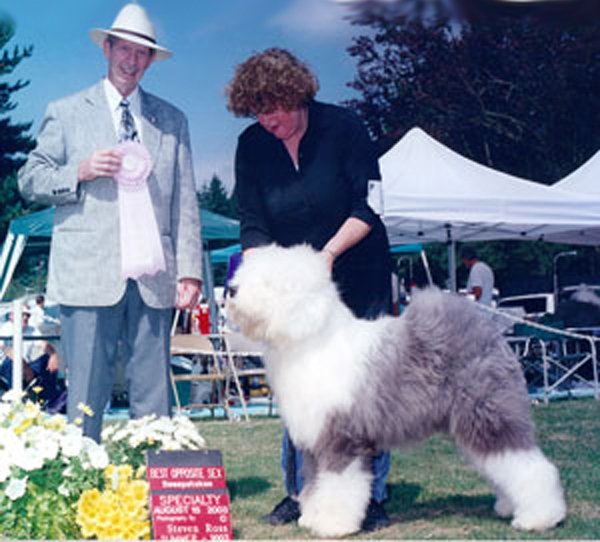 We were so pleased as this was George’s first All Breed Show after coming back home from Europe. George was handled to this win by our good friend Rick Baggenstos. 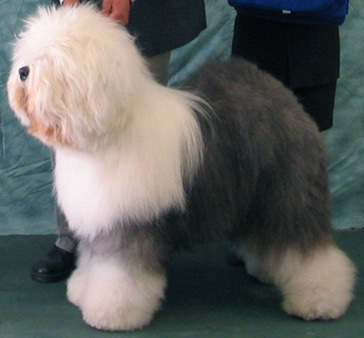 Colleen: George was a big chunky puppy that might be too coarse to show. He proved us wrong. George was an outstanding OES, exemplifying the language of the standard, “square, compact” and equal amount of reach and drive” and “soundness above all”. Add to that an exquisite head piece and a gentle temperament. George was campaigned in 2005 and finished the year with 3 BIS and 16 Group 1s. 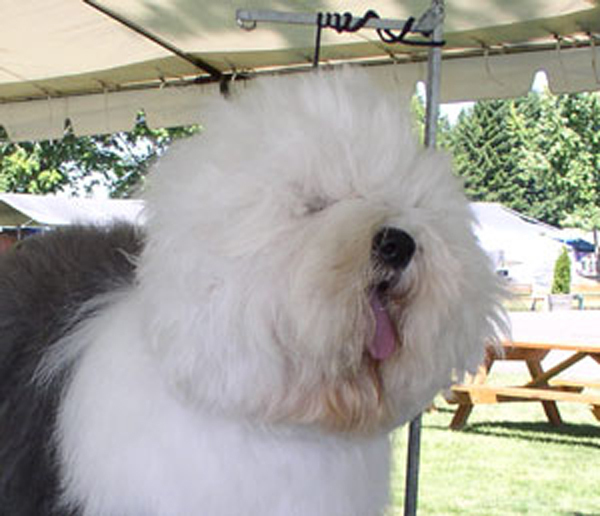 Highlights included taking a Group I under Mrs. Anne Rogers Clark and an Award of Merit at the OESCA Centennial show under breeder/judge Terry Carter of SomeBuddy Kennels. 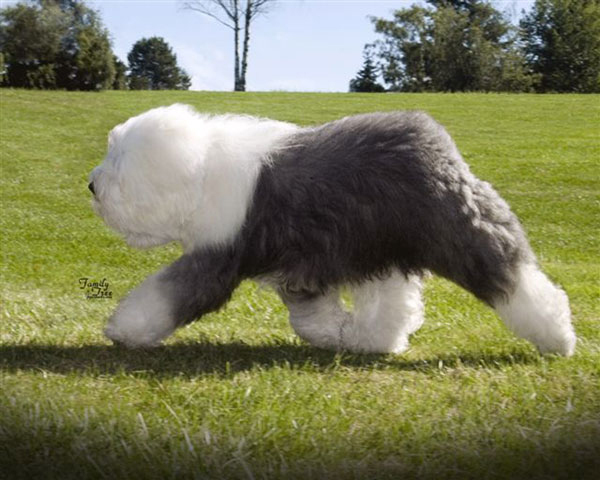 George was invited to Westminster 2006. After attending, he headed directly to Germany with our friend, Heike Bilsheim, a long time international exhibitor and judge of OES.